Gloria Bell has been chosen as a 2010–2011 Anne Ray Native Intern. She has extensive experience in the arts. This includes being a research assistant with the Great Lakes Research Alliance for the Study of Aboriginal Arts & Culture, gallery assistant at Gallery 101 in Ottawa, Facilitator at the Royal Ontario Museum, intern at the Agnes Etherington Art Centre in Kingston, programs assistant for the McMichael Canadian Art Collections, and gallery assistant at the Union Gallery, Kingston. Gloria’s experience is impressive, yet she feels she needs to obtain more knowledge and skills in working directly with collections since her career goal includes obtaining a position within a museum or gallery as a researcher and/or curator in Aboriginal arts. While at SAR, she will work to obtain these goals by spending half of her time working on collections/ registration projects, and the other half of her time working on academic/programming projects. Gloria is affiliated with the Métis of Ontario and hails from Caledon, Ontario. She received her bachelor’s in Art History at Queen’s University and is currently in the process of completing her Masters in Art History at Carleton University. Gloria will be in residence at SAR from September 1, 2010–May 31, 2011. Teresa Montoya has been chosen as a 2010–2011 Anne Ray Native Intern. Hailing from the Diné (Navajo) Nation, she currently lives in Denver, CO. Teresa’s experience includes being a cultural interpreter department intern at the National Museum of the American Indian in Washington, D.C., a volunteer at the Denver Museum of Anthropology, American Indian research services coordinator at the University of Denver’s Center for Multicultural Excellence, and a co-curator for an exhibit on Navajo weaving with male weaver Roy Kady. Teresa plans to expand her experience in working with collections and sees her time at IARC as an opportunity to build upon prior museum experiences. 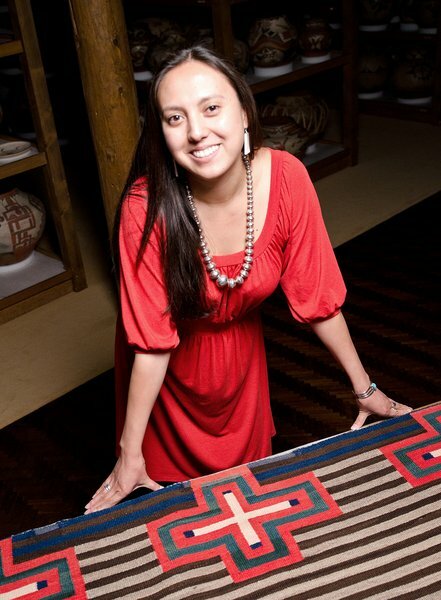 Her research interests include museum anthropology, new museology, methods of collaboration, Native representation, diversity in museums, and Navajo weaving exhibitions. While at SAR, she will strive to reach these goals by spending half of her time working on collections/ registration projects, and the other half of her time working on academic/ programming projects. 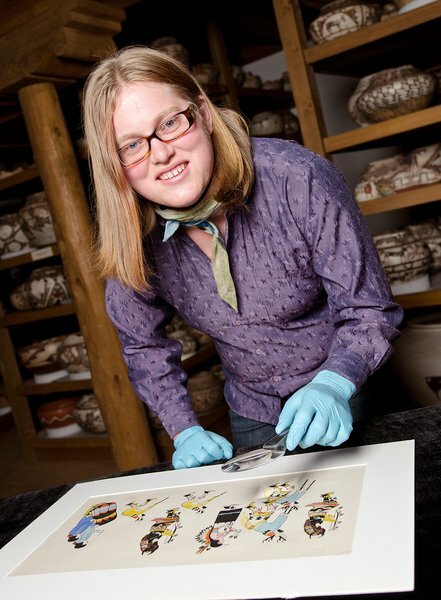 Teresa is completing her Masters in Anthropology with a museum studies emphasis at the University of Denver. She holds a Bachelor’s degree in Interdisciplinary Studies (art history emphasis) and Spanish. Teresa will be in residence at SAR from September 1, 2010–May 31, 2011. The Summer Policy Academy at the Santa Fe Indian School and the School for Advanced Research signed a memorandum of understanding in 2010 to support one summer intern at the Indian Arts Research Center. The purpose of the internship is to help students affiliated with the Summer Policy Academy gain work experience, broaden their perspectives, and introduce them to the museum field. The SPA and SAR are pleased to welcome Joseph Skeets as the 2011 SAR-SPA summer intern.